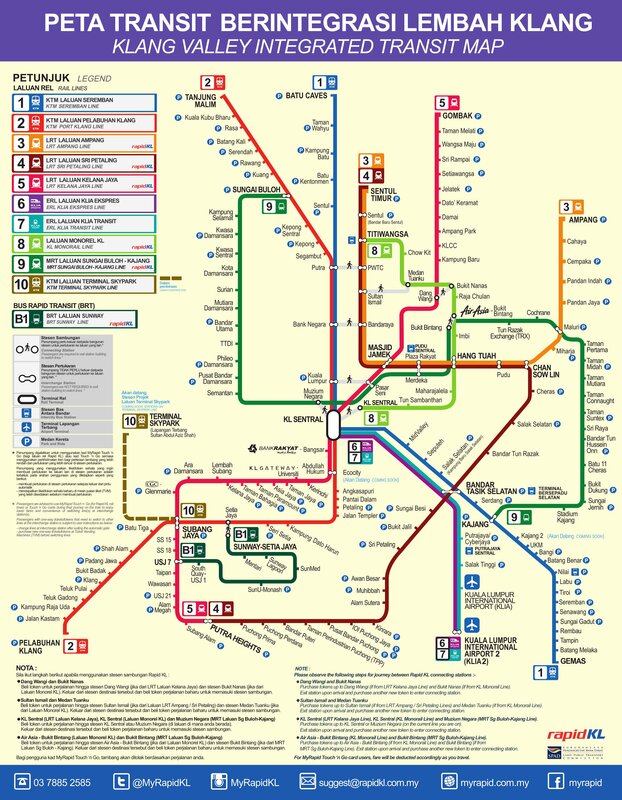 The new rail-based public transport network, 51km Sungai Buloh - Kajang Line MRT, is integrated to the Klang Valley Mass Rapid Transit (KVMRT) project in 2017, together with the existing Light Rapid Transit (LRT), the Monorail, the KTM Komuter, the KLIA Ekspres and the KLIA Transit systems, to form the backbone of seamless connectivity in the Greater Kuala Lumpur / Klang Valley region. RM 6.40 (Cash) Check again? ❷. Exit at Muzium Negara MRT station then walk to KL Sentral LRT station. ❶. Exit at Maluri MRT station then walk to Maluri LRT station. ❶. 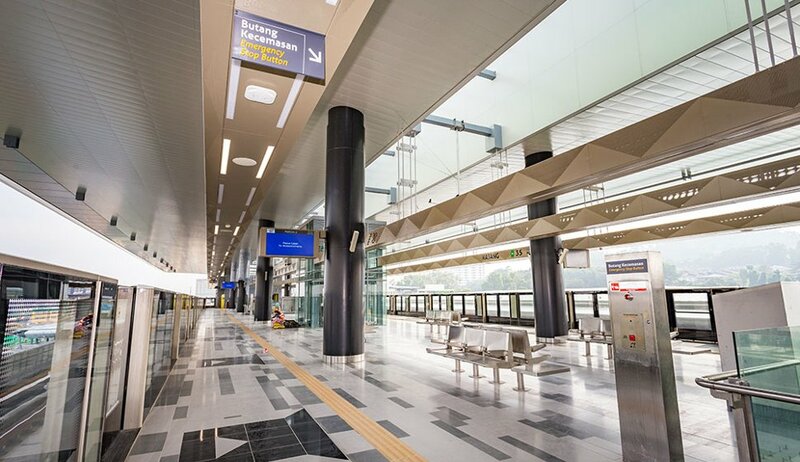 Exit at Merdeka MRT station then walk to Plaza Rakyat LRT station. ❸. Exit at Muzium Negara MRT station then walk to KL Sentral Monorail station. ❸. Exit at Kajang MRT station then walk to Kajang KTM station. ❶. Exit at Muzium Negara MRT station then walk to KL Sentral ERL station. 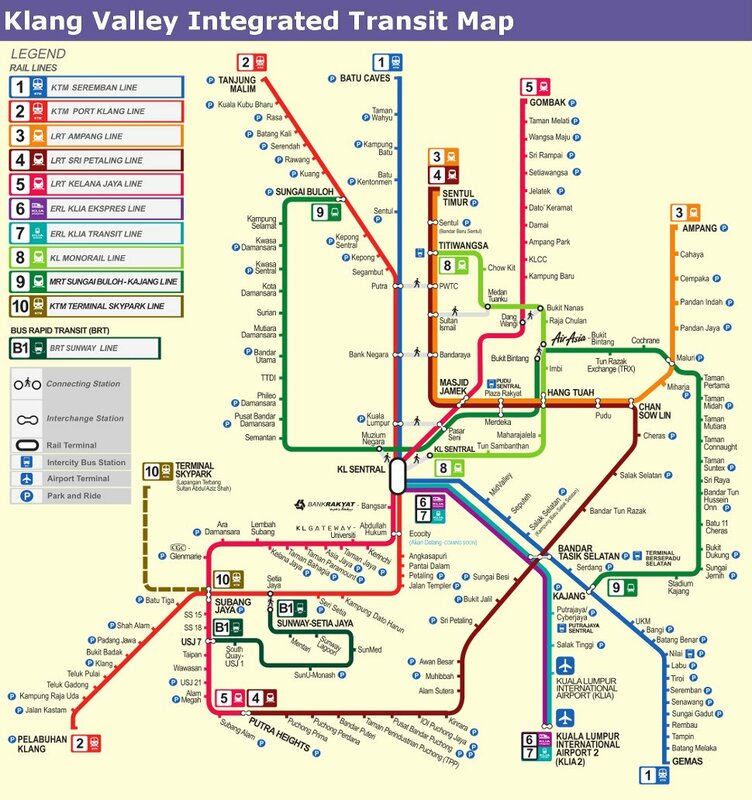 The Klang Valley Integrated Transit System consists of KTM Komuter rail line, Ampang Line LRT, the Sri Petaling Line LRT, the Kelana Jaya Line LRT, the KL Monorail, one bus rapid transit line and KLIA Ekspres and KLIA Transit airport rail links to Kuala Lumpur International Airport.